At Celebration Corner, you can find an age appropriate, unique gift for every child on your list. We carry select gifts for newborns to age 17 that are both fun and challenging. And we have a huge selection of plush to choose from! 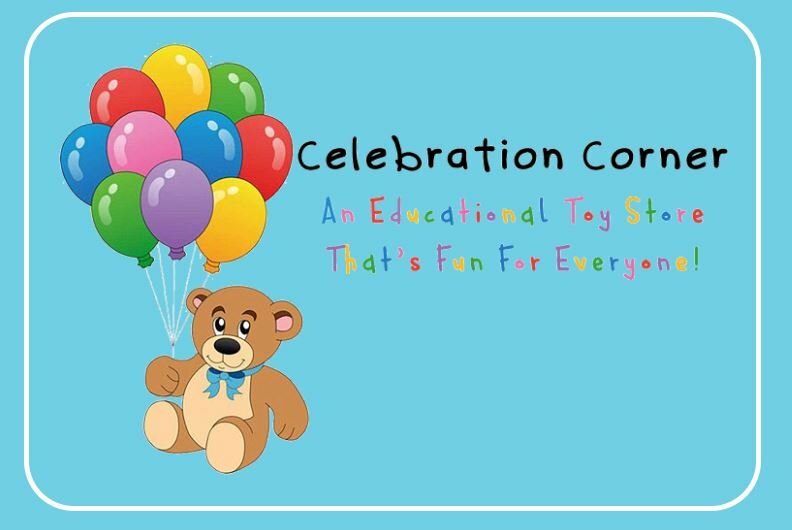 Celebration Corner also carries science kits and games endorsed by STEM (Science, Technology, Engineering and Math) or STEAM (Science, Technology, Engineering, Art and Math) to challenge your child(ren). Delight in toys, dolls, action figures, trucks and planes that will stimulate creative, imaginative play. Discover flash cards, workbooks, books, puzzles, and games to help promote learning. Dr. Betty and Mr. Mike are always ready to assist you, as well as take suggestions for toys you would like to see featured in the store.